22 replies to "Mixcraft Pro Studio 7 Review"
It’s easy o understnd that WAV files would be easier for a CPU to digest. Not only are you sending a wave file by prior to and during this you’re decoding Midiand then linking the snipets. Am I right on that? ASlsdo if tracks are not frozen and you’re using , lets say echo, you are now processing your sourse wave audio and the echo wave audio too. Would that be like processing 2 instead of one track? I have my own studio set up at home and I am looking to finally purchase a DAW. wither it’s rap or R&B, what is your opinion from your experience with mixcraft 7? Well, Reaper is still my DAW of choice for performance and routing and many other reasons. However, Mixcraft is still a great option. On quality, either DAW will be equal there if used correctly. Reaper does not come with the virtual instruments that Mixcraft does but it’s a lot cheaper too. I prefer to buy only the virtual instruments I intend to use and not bloat my system with tons of stuff I’ll never touch. Thats just me. Hello, I currently have a very big dilemma. I explain to you. I am a regular Cubase and Protools user. During last week I try a lot of DAW and I stop my choice on 3. Mixcraft 7, Cubase 8 Elements and Samplitude Music Studio 2016. I do not know which one to choose because they all have their advantages and disadvantages. 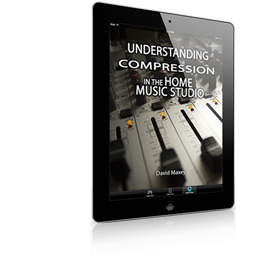 Cubase and Mixcraft have an interface very easy to use. But Samplitude is more complicated except for the VSTi instruments. In fact the Vita Suite is amazing. Very good review. I’ve owned the Pro Studio 7 for some time now. It is a very good DAW. I have also used Reaper. Again another very good DAW. The one advantage Reaper has, at least on my computer is that the Reaper is not as hard on my CPU. As far as FX, VST’s, and features, the 7 wins. To me both are equally as easy to use. Both operate smoothly without freezing up or other glitches but very rarely. Too many tracks can push the CPU to the limits. But I manage by mixing certain instruments or groups of instrument to subgroups. Freezing tracks, cutting the graphics down. Lets say, once I’m satisfied with the track or tracks and I’n ready to mix down, I don’t really need to see the wave-form. Now as far as the manual, I think it’s great. Not that I want to read the whole thing, but once in a while I’ll have a question, or want to do something a certain way. I can always go to the manual which is well laid out and pretty much covers everything. Liked your review, it was pretty unbiased and Im sure a lot of people looking for a DAW helpful. One review I think might be helpful to some out there would be Samplitude. I’m not a midi type of person, lol, but find Samplitude makes midi editing, dragging and dropping samples/loops straight from CD easy. It also has other big pluses for creating that I haven’t seen on other DAWs. The virtual instruments are pretty awesome. I use Sam on one computerfor creating, send those tracks over to my Studio 7 computer. Enjoyed the video, nice job. I just purchased mixcraft pro studio 7 and am going to buy a new pc laptop. Everything else equal would u recommend an Intel i5 6th gen or an i7 5th gen? You gave a very precise review of the Mixcraft which already I am using. Thank you for that. 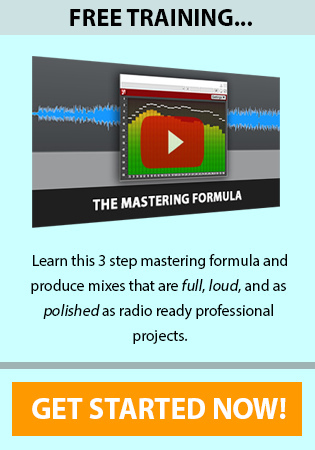 Is this manual for the Mixcraft available separately? I know it is not a question for you to answer but if you know then kindly tell me. Hey Thanks for the comment Mike, Yes Mixcraft runs perfect on Windows 10 and that’s what I was doing this review in. I hear you on Reaper, and as I said in the video, each has to decide for themselves what DAW is the best fit for various reasons. I still do most all my recording in Reaper as well. 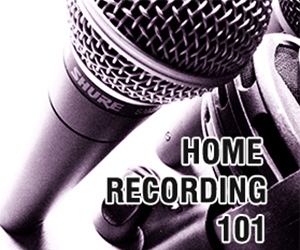 Really informative, well done review of my favorite DAW…although I don’t use the Pro version, the basic home studio version looks identical except with less VSTs. I liked your summary comments about this fine software, especially considering you’ve used many of the better known (and more expensive) programs out there. Thanks for taking the time to make this video! Thanks for the comment Rick and your very welcome. Happy to help. Hi, Just got my focusrite 2i2 interface and am using Mixcraft 7 (not pro studio can’t afford it.) Still getting used to the interface but love it. Question though, for routing and ellimation of latency. Do I need to set up the “aux bus to route pre recorded tracks from MC7 back to the focusrite or just go with the focusrite directly. Just got the 2i2 last night so didn’t have a lot of time to play around. Recorded live acoustic guitar and loved it (scarlette suite is great!) but curious about how to route for example drum tracks back through headphones in 2i2 while recording guitar? Don’t have a lot of problems with latency when mic recording but it’s still there and can at times throw me off a tad. Routing aux bus will have little to no effect on latency. This is really about the combination of your computer, buffer size, and audio interface. With the 2i2, you most certainly can use a bus for all your drum tracks and then use that bus to set the playback volume for adding more tracks. The 2i2 does not have a mix control which other interfaces do for this purpose. All that means is you need to control your playback volume for any given track, directly within the DAW. Latency comes into play when you are trying to monitor a track from within the software at the same time your recording it. With the 2i2 (an most affordable interfaces) its actually best to monitor your recording inputs directly from the interface, even if this means tracking with no effects. Then add your effects in post production. This setup provides zero latency. Could u give me a video review of cubase 7, that’ s what i have. I also have Acid Music Studio. Hey Mr. Chandler, I was asked by Acoustica to do this review and thus was given access to the latest of the software. I do not have access to Cubase 7 nor do I have Acid Music Studio. 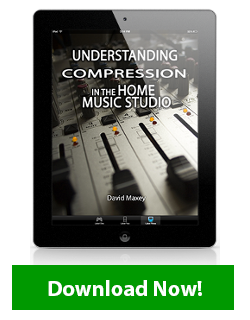 Also, time wise, I really can’t review every DAW out there to honest ;). Thanks for the comment. I would love to test out the pro version of mixcraft pro 7. It should be a blast . Your Mixcraft Pro Studio 7 review is very helpful and provides us with an excellent basis with which to make an informed decision. For one, I’m impressed with the great number and variety of effects/vsti’s provided in the package. However, I’m concerned about performance. — I’m using M-Audio’s M-Track audio interface. Do you think my computer/interface can handle this DAW? Again, great work with this review! Hi Luc, on performance I’ve just posted an updated comment after hearing from Acoustica directly. I’ve pasted that below as it may clarify some things for you. “UPDATE: After posting this review and hearing directly from Acoustica on my performance grade, it became apparent that my testing here was not an exact apples to apples comparison from Reaper to Mixcraft.